1.40pm SATURDAY: The Dawson Highway from Biloela to Banana will be closed today at 2pm, according to the Banana Shire Disaster Management Facebook page. 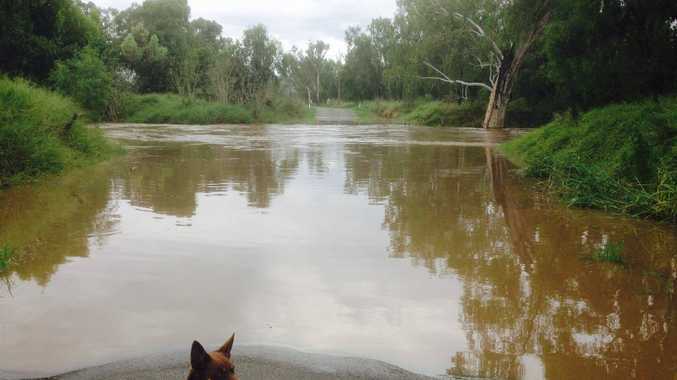 12.30pm: A NUMBER of roads in Central Queensland are closed due to flood waters and a few have reopened, according the latest information from the Department of Main Roads. • Fitzroy Developmental Road (Dingo-Middlemount) at Duckworth Creek (10km north of Dingo), Alkira Creek (50km north of Dingo) and Parker Creek (58km north of Dingo). • Duaringa-Apis Creek Road at Mackenzie River. • Baralaba-Woorabinda Road at Dawson River anabranch. • Dawson Highway (Biloela-Banana) at Grevillia and Kroombit Creeks (4km west of Biloela). • Burnett Highway (Biloela-Dululu) - soft shoulders. • Capricorn Highway east of Emerald at Black Gully (5km east of Emerald), Winton Creek (10km east of Emerald) and Corkscrew Creek (20km east of Emerald) due to water over road. • Burnett Highway south of Thangool. • Fitzroy Developmental Road (Bauhina-Woorabinda) due to slippery conditions on unsealed road. For the latest on road conditions visit www.131940.qld.gov.au or phone 13 19 40. 11.30am: LIVINGSTONE Shire Council have issued a list of roads motorists need to be aware of water issues with after the recent rain. The Apis Creek Rd at Marlborough is closed in the Central Highlands Regional Council area at McKenzie River. There is water over the road at the first crossing from the Rockhampton-Yeppoon Rd on the Artillery Rd at Ironpot. 8.10am: THE Bruce Highway was closed and then reopened hours later during the night due to water over the road. 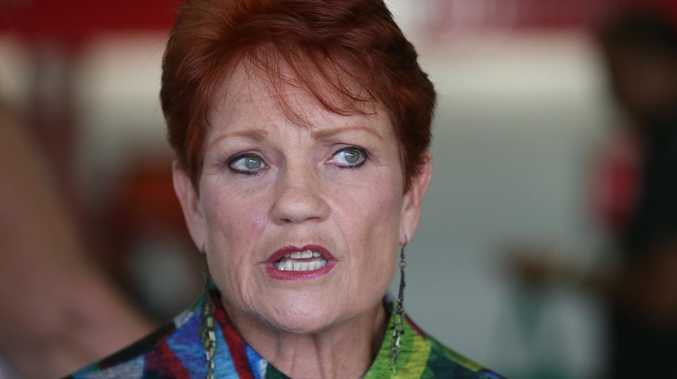 The latest reports, according to Twitter, is that cars are now aquaplaning between Marlborough and Rockhampton. The highway was closed about 1am due to water over the road in several locations between Marlborough and Rockhampton and reopened about 4am. PLEASE NOTE - The above roads have been confirmed at the time of distribution, however not all roads can be assessed due to accessibility issues. If you have any additional information relevant to road restrictions or closures, please email infrastructure@banana.qld.gov.au. EARLIER: THE BUREAU of Meteorology has issued a severe weather warning for heavy rainfall for people in the Central Coast and Whistundays, Capricornia, and parts of the Central Highland and Coalfields Forecast Districts. The alert, issued just before 3pm, warned an extremely moist tropical air mass lies ahead of a strong surface trough, which is currently located near Fraser Island. The trough is expected to move slowly northwards into the warning area during Friday where it is likely to produce areas of heavy rain and thunderstorms. Heavy rain, which may lead to flash flooding, is expected to develop across parts of Central Coast and Whitsundays, Central Highlands and Coalfields and Capricornia districts on Friday. Local six-hour rainfall accumulations of 100mm to 140mm are possible about the coast and nearby ranges, and 60mm to 100mm over inland parts of the warning area. A separate Flood Watch is current for parts of the Wide Bay and Burnett, Central Highlands and Coalfields, Capricornia, and Central Coast and Whitsundays districts. Locations which may be affected include Gladstone, Emerald, Rockhampton, Clermont, Mackay, Biloela, Blackwater, Yeppoon, Moranbah, Marlborough, St Lawrence and Sarina. The next warning is due to be issued by 8:55 pm. Warnings are also available through TV and Radio broadcasts, the Bureau's website at www.bom.gov.au or call 1300 659 219. The Bureau and Queensland Fire and Emergency Services would appreciate warnings being broadcast regularly. 1am: The Department of Transport and Main Roads at 12.52am advises the Bruce Highway is closed to all traffic between Rockhampton and Marlborough due to water over the road at multiple locations in the Marlborough area. Marlborough has recorded 180mm of rain since Wednesday with 98mm falling since 9am Thursday. A severe weather warning for Friday remains current for the Central Coast and Whitsundays, Capricornia and parts of the Central Highlands and Coalfields Forecast Districts. Widespread flash flooding has occurred in the last 24 hours. Numerous road closures are in place in the Central Highlands region due to flooding over roads. 4am: The Department of Transport and Main Roads advises the Bruce Highway has reopened to traffic between Rockhampton and Marlborough.